Whitney Elizabeth Houston (born August 9, 1963 - February 11, 2012) was an American R&B/pop singer, actress, and former fashion model. Houston is the most awarded female artist of all time, according to Guinness World Records, and her list of awards include 2 Emmy Awards, 6 Grammy Awards, 16 Billboard Music Awards, 22 American Music Awards, among a total of 415 career awards as of 2010. Houston is also one of the world's best-selling music artists, having sold over 170 million albums and singles worldwide. Inspired by several prominent soul singers in her extended family, including mother Cissy Houston and cousins Dionne Warwick and Dee Dee Warwick, as well as her godmother, Aretha Franklin, Houston began singing with New Jersey church's junior gospel choir at age 11. After she began performing alongside her mother in night clubs in the New York City area, she was discovered by Arista Records label head Clive Davis. As of 2011, Houston has released six studio albums and three movie soundtrack albums, all of which have had diamond, multi-platinum, platinum, or gold certification. Houston's 1985 debut album, Whitney Houston, became the best-selling debut album by a female act at the time of its release. Her second studio album, Whitney (1987), became the first album by a female artist to debut at number one on the Billboard 200 albums chart. Houston's crossover appeal on the popular music charts as well as her prominence on MTV, starting with her video for "How Will I Know", enabled several African-American female artists to follow in her success. Houston's first acting role was as the star of the feature film The Bodyguard (1992). The movie's original soundtrack won the 1994 Grammy Award for Album of the Year. Its lead single, "I Will Always Love You", became the best-selling single by a female artist in music history. The album makes her the only female act ranked in the list of the top-10 best-selling albums, at number four. Houston continued to star in movies and contribute to soundtracks, including with the films Waiting to Exhale (1995) and The Preacher's Wife (1996). Three years after the release of her fourth studio album, My Love Is Your Love (1998), she renewed her recording contract with Arista Records. 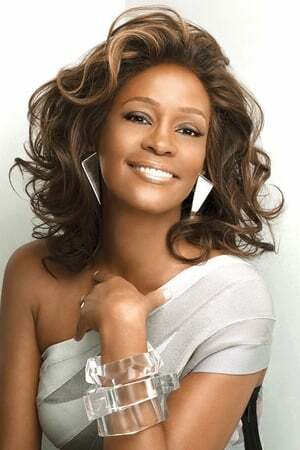 She released her fifth studio album, Just Whitney, in 2002, and the Christmas-themed One Wish: The Holiday Album in 2003. Amid widespread media coverage of personal and professional turmoil, Houston ended her 14-year marriage to singer Bobby Brown in 2006. In 2009, Houston released her seventh studio album, I Look To You. Description above from the Wikipedia article Whitney Houston, licensed under CC-BY-SA, full list of contributors on Wikipedia.